Bagan Datuk MP Ahmad Zahid Hamidi today caved in to pressure and announced that he would step aside as Umno president. 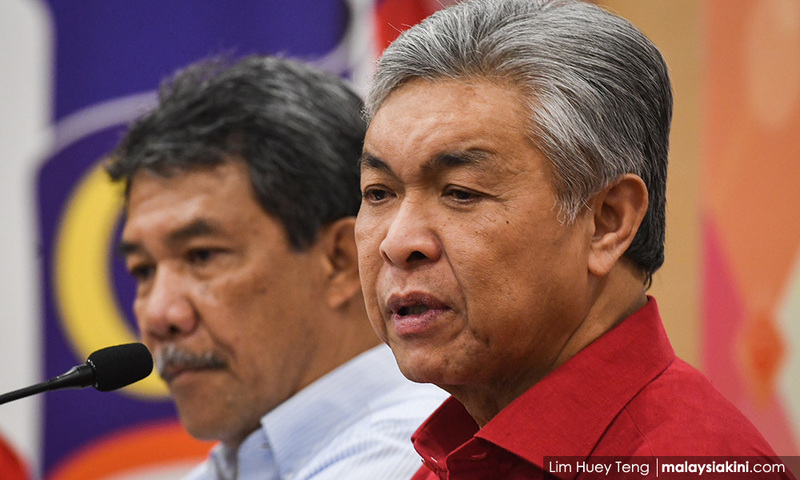 In a statement today, Zahid announced that his deputy Mohamad Hasan will now assume the duties of Umno president. “In light of the crisis faced by the party today, I have decided to entrust the deputy president with the duties of the Umno president. “I urge that no more of our MPs or assemblypersons quit the party,” he said. When met by journalists in Kuala Lumpur later, Zahid said he was not resigning, but only going on leave so that Mohamad can run the show. “It is the middle path … I won’t be carrying out my duties as Umno president,” he said. Zahid said he would only assume the position again if Mohamad no longer wanted the job or requested his return. The move, Zahid said, is aimed at saving the party amid the exodus of its elected representatives. “If I am the cause of this … then the best decision is to hand over to my deputy,” he said. Zahid also noted that the Umno grassroots are hopeful that the party will stay united. “I feel the restlessness of some Umno leaders as they are worried that they would face pressure, investigation or even charges as I have. Zahid said that he was confident that Umno would rise again. 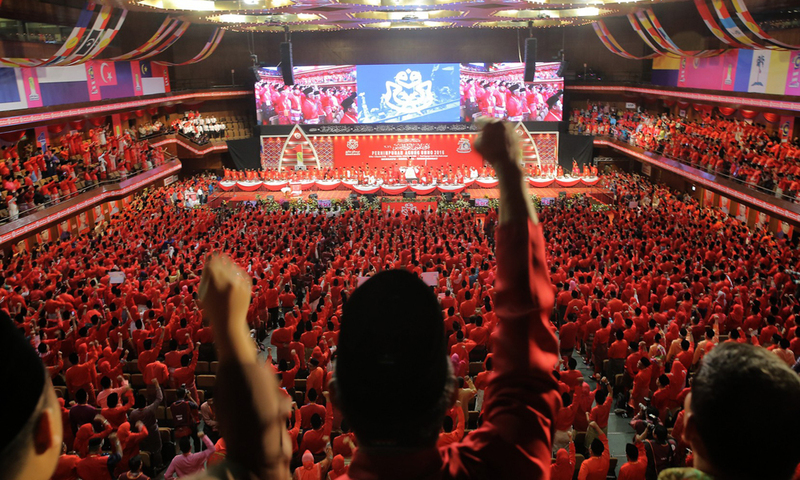 Despite losing its hold on power in the May 9 general election, Umno remained the largest party in the Dewan Rakyat with 54 MPs. However, it is now the third largest behind PKR and DAP, after an exodus of its leaders left it with just 38 MPs. 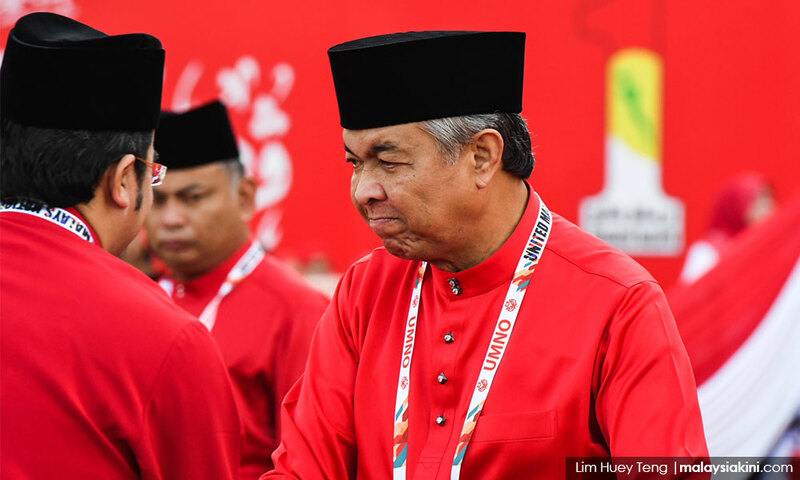 Those who quit have pinned blame on Zahid for allegedly failing to chart a clear direction for Umno, with some warning that the haemorrhage would continue were he to remain in charge. In a statement, Umno Youth chief Asyraf Wajdi Dusuki said he hopes Zahid’s decision would end the crisis being endured by the party. “In line with Zahid’s message, I hope all the polemics about party leadership will now end, and that all leaders and supporters at all levels can close ranks on focus on the agenda of renewal,” he said. Meanwhile, former Umno Youth chief Khairy Jamaluddin thanked Zahid for the move. “Did the right thing. Thank you Zahid,” he said in a tweet.